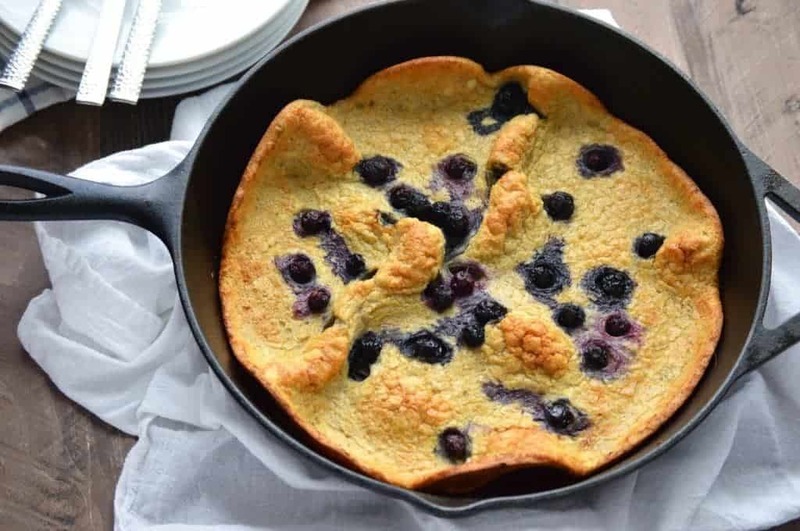 This Blueberry Dutch Baby makes an easy weekend breakfast with minimal ingredients. A dutch baby is essentially a baked pancake and this one is bursting with blueberries and topped with powdered sugar and pure maple syrup. It’s breakfast perfection. 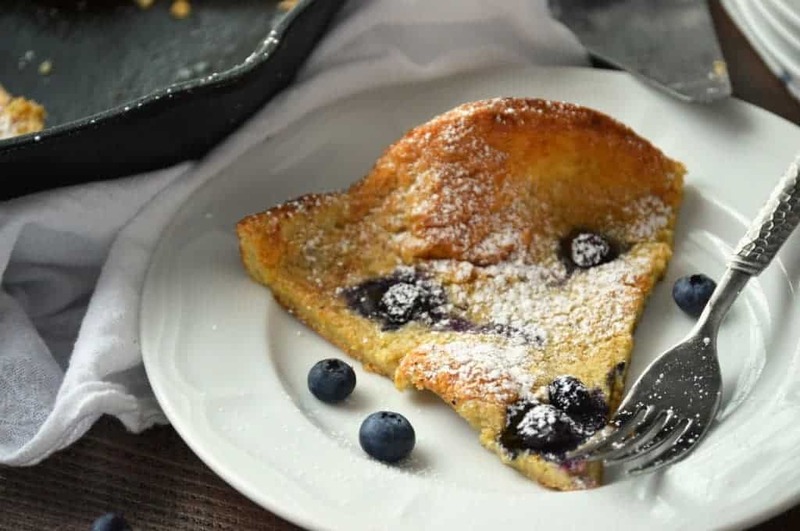 This gluten free blueberry dutch baby is definitely a family favorite breakfast. First of all, it’s super easy to make. All you need is one bowl and just a handful of ingredients. 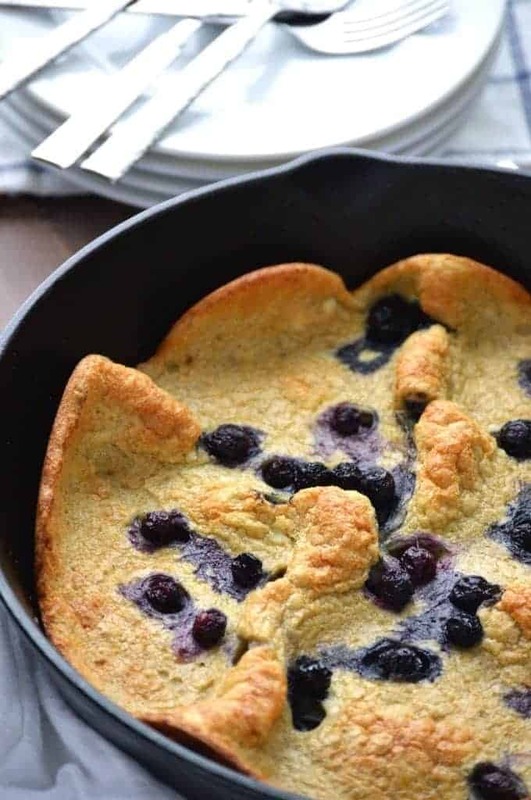 I’ve been making these gluten free blueberry dutch babies for well, forever? I’m not exactly how long but it’s been for as long as I can remember. They’re always a quick go-to weekend breakfast when I just don’t feel like cooking. 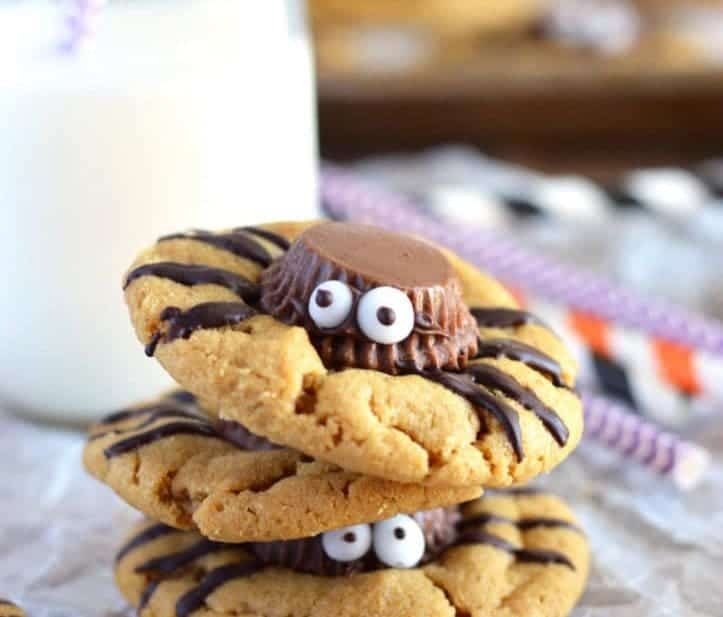 They’re so easy, even my husband could make these. I’m really envious of all of you guys who can get fresh produce at a great price year round straight from the farmers market. We still have snow on the ground. so it’ll be a loooong time before the farmers markets will start to open. Actually, it’ll be a long time before we even see the ground. We’re actually supposed to get more snow this weekend – it’s looking more and more like we’ll be having a white Easter since. No need to dye the eggs this year! We’ll be having the ultimate camouflage Easter egg hunt! White eggs in white snow, good luck kids! But back to gluten free blueberry dutch babies before I completely derail from my train of thought. I like to dust these with powdered sugar before serving. It gives them a little something special. We eat ours with maple syrup too, but again, that’s optional – just not optional in our house. There’s one very important bit of information to note about this blueberry dutch baby, when you’re adding the blueberries, keep them away from the edges of the pan! The batter will puff up and spread up the side of the skillet while baking. If the blueberries are too close to the edge, they’ll prevent that from happening. I’ve experimented with different amounts of blueberries and I use just a ¼ cup for that reason. Too many will deflate your dutch baby and you’ll end up with a flat slightly dense-ish dutch baby. Which is absolutely not what you want. So if you really want more blueberries, add them after you cook it. Enjoy! 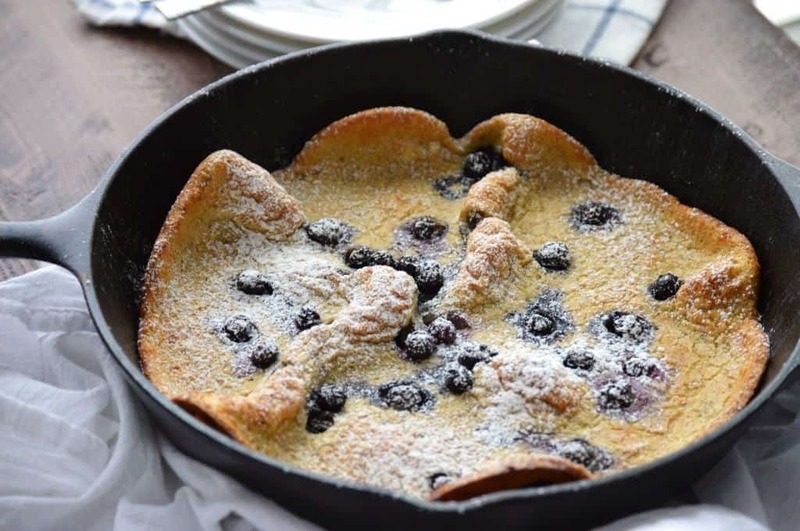 You can also see this gluten free blueberry dutch babies recipe on Food Fanatic. I still have some blueberries in my freezer from last summer’s bumper crop! I just organized my freezer and found more blueberries from last summer. Yay for summer fruit! 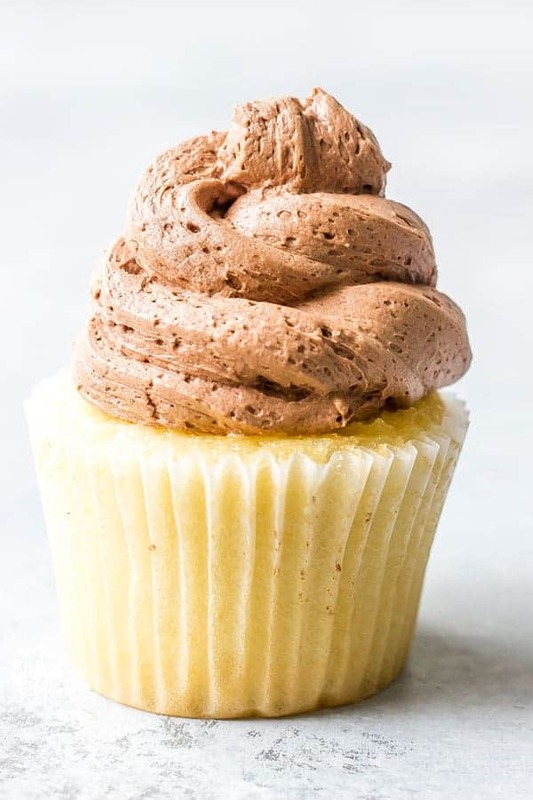 Almost too beautiful to eat…. Almost 😉 Know what I’m having for breakfast on Saturday now! Gorgeous!! I’ve heard of Dutch babies, but never made one. Now I know what I’ve been missing and I’m thinking that Saturday breakfast just got a whole lot more wonderful. This is perfect for when I host a brunch. Thanks for sharing! Thanks Catherine! I actually made it for breakfast this morning with some raspberries and blackberries – so good! What an easy breakfast idea! It’s like pancakes but easier! Gorgeous photos! I love dutch babies and can’t wait to make this version. Thanks Alex! 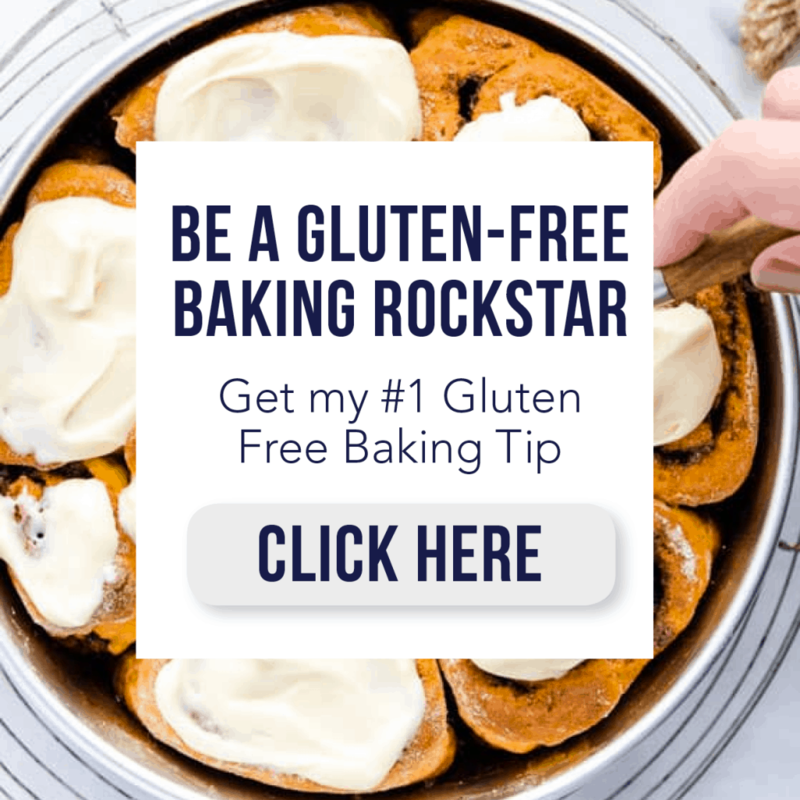 Dutch babies are one of my favs – so easy and good! Oh I have to try this! I have never seen one with blueberries, it looks so fresh & sweet! I would love for you to share this over at my new link party Making Memories Mondays going on now! I love it with blueberries although I just made one with raspberries and that was also great. 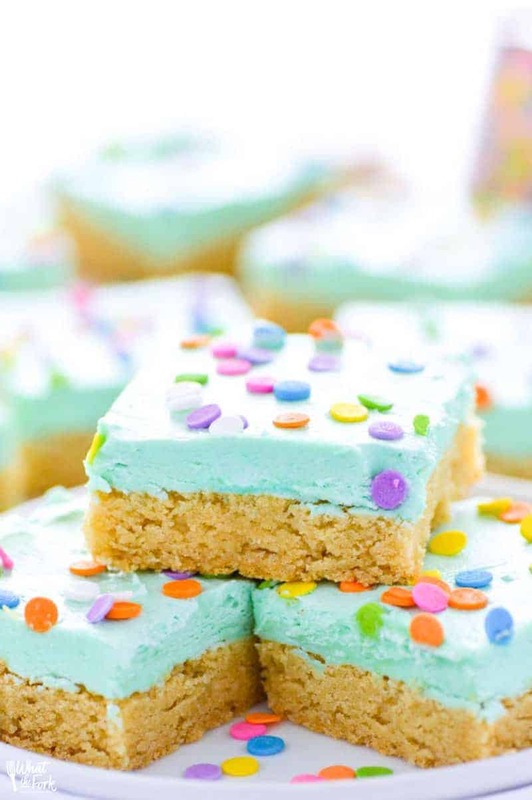 I would love to try this soon… Hopefully this week!